← Living Rocks Found Here on OUR ROCK! The Great Northern Peninsula has many worldy treasures, fabulous businesses, natural wonders and characters in every community. As I reflect back on my vacation, it would take me weeks to describe all the places I’ve been, people I met and experiences I’ve had…the good thing is that I have the time to tell you a little bit….the rest you may have to experience for yourself…. At the very tip is the peninsula’s economic hub with various industry, government services, tourist attractions and yes….for all you quintessentially Canadians out there…it has a Tim Horton’s! It is also coined ICEBERG ALLEY….rightfully so as it boasts the province’s longest season for iceberg sightings. You don’t have to take my word for it, just visit www.icebergfinder.com. One can often view the lovely ‘bergs from scenic Fishing Point. It was my first stop! Fishing Point has pristine views of the Town of St. Anthony, Harbour and peaks off into the ocean. 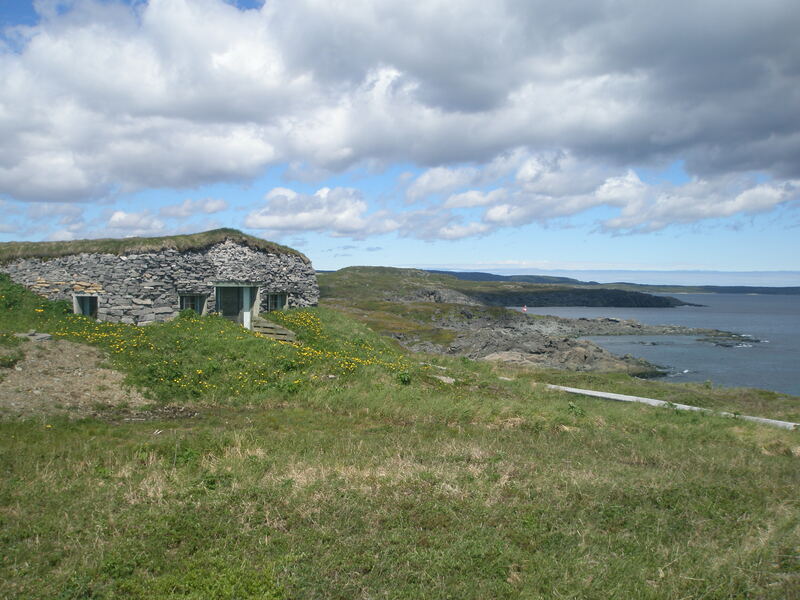 It is comparable to Signal Hill, St. Johns with respect to its offering and viewscapes. We had the ability to see an iceberg off in the distance, as well as fishing boats and Northland Discovery Boat Tours setting sail for its first expedition of the day (http://www.discovernorthland.com). Fishing Point has numerous walking trails and rest stops. It is a social commons for the locals as much as it is for tourists and other visitors. I am glad this space is shared because it is breathtaking, tranquil and beautiful. 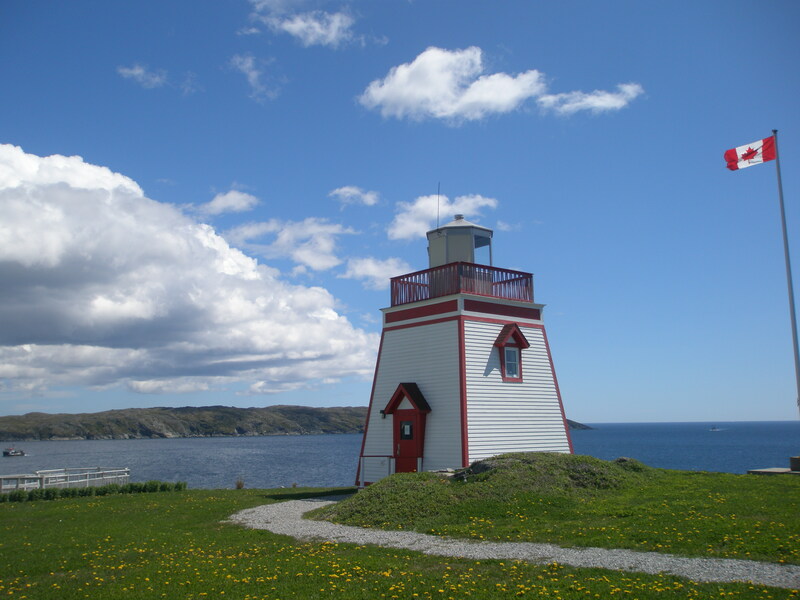 The Lightkeeper’s Cafe, which has remarkable sea food and sits on the hill with the best views in Town. Just underneath is the Great Viking Feast and Dinner Theatre, “”Leifsburdir”. It is the only sod-covered restaurant in North America. It seems the Great Northern Peninsula has a lot of firsts, unique findings and other oddities that appeal to me and many others as those who live or chose to visit enjoy the fabric of everything rural! As well, the Fishing Point Emporium has a wide selection of souvenirs and a textile exhibit which includes a polar bear display and many interpretative panels noting the wildlife that lives in the region. After spending some time it was certainly time to take in more this fair Town has to offer. However, when leaving my friend wanted to take a photo of the cemetary I was passing. He noted that our graveyards are so much different than in other parts of Europe. I’ve travelled to more than 25 countries and never thought the way we bury our dead as being different, but after recalling all the cemetaries visited in Europe, I understood. I guess you often don’t question your own culture and heritage as you do with others. I don’t have an explaination for this difference, but I do know it exists. I guess growing up rural we accept our way of life and continue with some traditions, despite being exposed to the world around us. We are unique in many ways and have many things to offer…..Fishing Point is just one of those great places you must go again and again…. Posted on July 7, 2010, in Categories, Landscapes/Geography and tagged Fishing Point, Iceberg, St. Anthony, Trails, Viking, Whale. Bookmark the permalink. 1 Comment.